The “Un-Break My Heart” singer has filed for bankruptcy twice, in 1998 and 2010. She says the first round was due to low royalties from her record label, and the second because she canceled her Vegas show after learning she was ill. The rapper filed for bankruptcy in 1996, when he was reportedly already delinquent on several years’ worth of taxes. The talk show host had debts in the amount of $352,000 in 1978, forcing him to declare bankruptcy. The same year, he started the radio show that eventually led to his 25-year gig on CNN, which presumably helped refill the coffers. The Diff’rent Strokes actor said much of the money he made on TV was taken by his parents while he was underage; though some of it was recouped in a lawsuit, he filed for bankruptcy in 1999. Coleman died in 2010. The boxer filed for bankruptcy with debts of about $23 million in 2003; at the time, the New York Times said he had made about $400 million in his career. The Boogie Nights actor was $10 million in the red when he filed for bankruptcy in 1996. The “Time After Time” singer filed for bankruptcy in the early ‘80s after her first group flopped, according to Rolling Stone. Luckily for the pop singer, her best years were still ahead of her. When the rocker’s record label was acquired by another company, Petty refused to be traded like a baseball card, and declared bankruptcy in 1979 to try to nullify his previous contract. The gamble worked: MCA released and re-signed him under a more favorable deal. That’s right, “Honest Abe” filed bankruptcy in 1834 after a business venture failed. When his partner died shortly after the business failed, Lincoln assumed the partner’s portion of the debt as well out of a sense of honor. His assets were seized and he spent years paying off the debt. Despite this, any stigma from the business failure and bankruptcy didn’t follow him very far and a mere 8 years later he was elected to Congress, and of course, in 1860 became president of the United States. While a brilliant writer and a wealthy landowner, Jefferson didn’t have the best of luck financially. He was primarily a farmer and was subject to all the financial ups and downs that accompany that profession. He also lent out money and the payments made against those loans were unreliable. Additionally, he inherited debt from his father-in-law and from a friend for whom he cosigned a debt. Jefferson struggled with his own, expensive spending habits as well and died $107,000 in debt (roughly $1,000,000 to $2,000,000 in today’s money). Unlike today, he didn’t have the option to file bankruptcy except during a brief window from 1800 to 1803, which he did utilize. 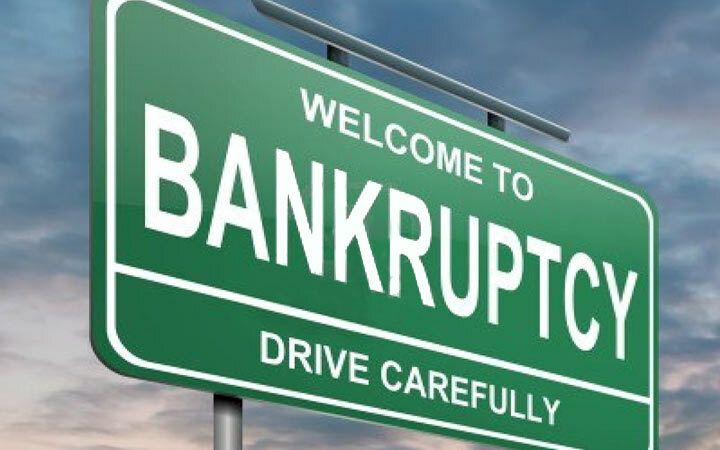 The struggles of our third president are an excellent illustration of how badly things can turn out when the option of bankruptcy isn’t available. Like Jefferson, McKinley cosigned on a debt for a friend and that got him into financial trouble when the friend when bankrupt. To make matters worse, he was forced to declare bankruptcy while serving as the Governor of Ohio. Less than three years later, he was elected President of the United States, once again proving that bankruptcy isn’t The End some people make it out to be. After he left office, Grant invested heavily in Grant & Ward, a Wall-Street investment company set up by his son Buck and Buck’s friend Ferdinand Ward. Ward embezzled the funds the former President invested, eventually going to jail for it. However, President Grant was on the hook for hundreds of thousands of dollars of debt after Grant & Ward failed and he went bankrupt. The only way he was able to repay any of his creditors was through selling his Civil War memoirs which were published posthumously.